LIMITED EDITION. Frosted glass lamp with a sober and elegant design. 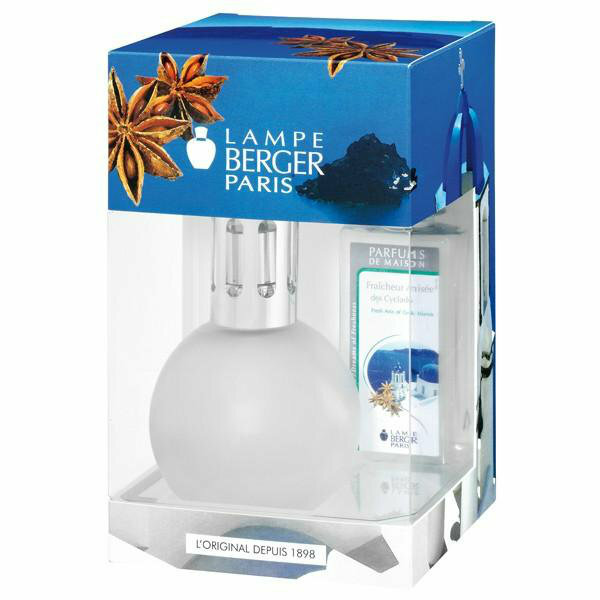 Lamp sold in gift box with the new home fragrance Fresh anis of greeks islands free. with a catalytic burner, 1 stopper and 1 funnel.